In the Seattle area, Malus fusca, commonly known as the Pacific crabapple, was once very common prior to urban development. Surveyor records from the 1850s speak of crabapple swamps west of Haller Lake and Bitter Lake in North Seattle, and it was once very common along the Duwamish River. 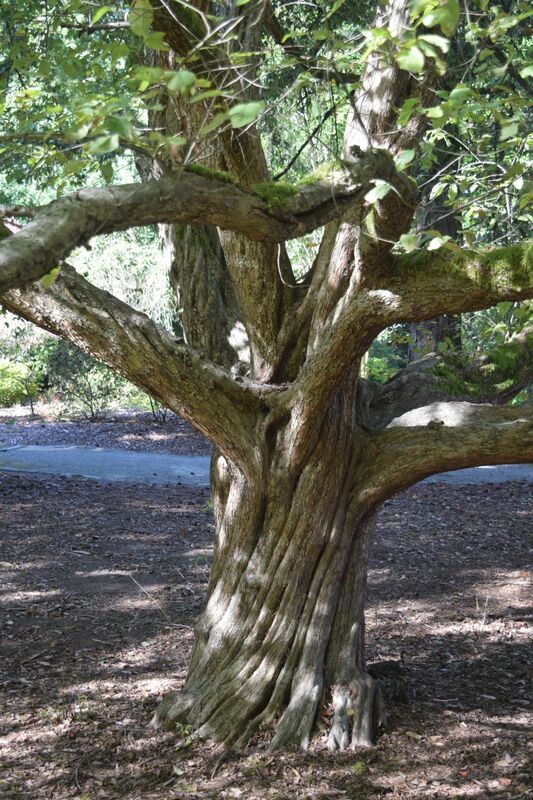 Lincoln Park has both wild and planted trees according to local author Arthur Lee Jacobson, and some that are nearly as large as the Arboretum’s new national champion. Unlike other crabapples, Pacific crabapple is very tolerant of wet soils and is a good choice for difficult open, wet areas. The fruits are small, only 1-1.6 cm long, yellowish to deep red. They are oblong rather than round, which is a good way to identify them compared to other crabapples. The fruits are edible but described as sour. They are a good food source for birds. Leaves are also another good identifying feature, as they are often irregularly lobed, unusual for a crabapple. Margins are toothed and leaves are pointed at the end. Fall color can range from red to a dull yellow. Blossoms are lightly fragrant and white to pink and generally appear in April. They grow best in sunny conditions. At the Arboretum we have had to lift the branches of nearby cedars to ensure that our most prominent tree continues to get enough light to thrive. 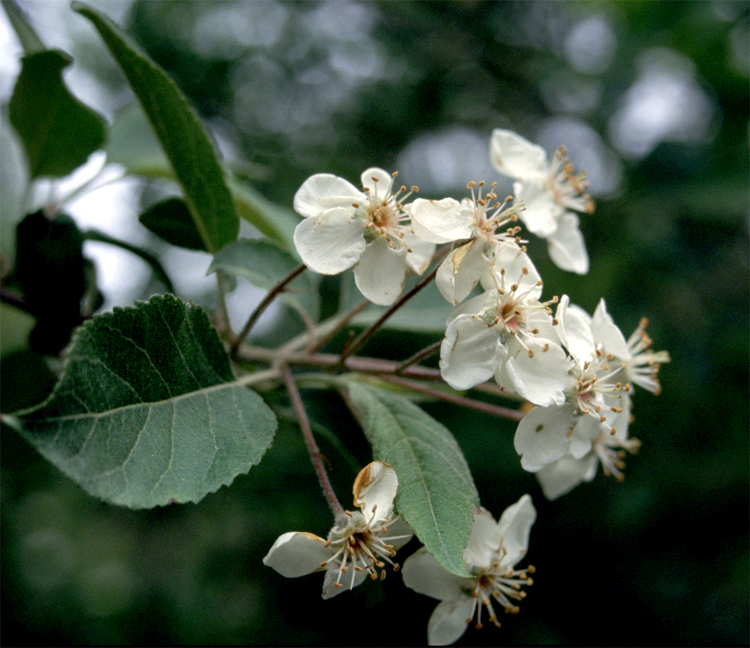 Location: There are three accessioned specimens of Malus fusca in the Arboretum, but several other smaller examples of this native species are surely along the wilder shorelines along Duck Bay and Foster Island. Of the three accessioned specimens, S-0002-A, B and C all predate the Arboretum (1934) and possibly the park (1900). The largest and most visible, S-0002-A, is in Grid 39-2E just west of the Graham Visitors Center on the main trail leading to the Winter Garden. The muscular trunk and large spread on this tree (74 feet wide!) are very impressive for this species. 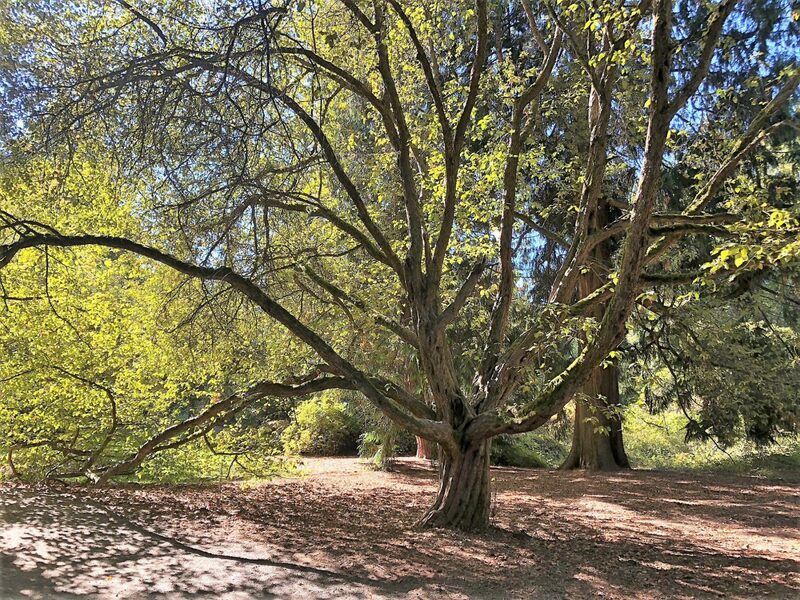 Long one of my favorite trees in the Arboretum, it was just certified by American Forests as the National Champion for its species, which is truly remarkable. The third tree, S-0002-C is on Foster Island, in grid FI-4E near the eastern side of the Island south of SR-520. This tree has three trunks and is at the north end of the open clearing before the dense brush begins. 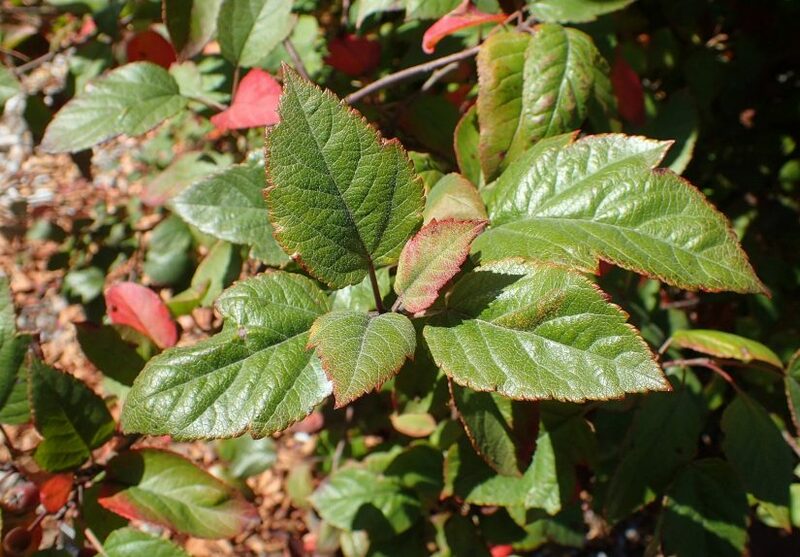 Origin: Malus fusca is native to the maritime Pacific Northwest, found in lowlands west of the Cascades from southeast Alaska to northern California. Height and spread: In the wild, Pacific crabapple is often more of a larger shrub than a small tree. It can reach up to 30’ or more in height but is often in the 10-15’ range. It is generally wider than tall in maturity. It is often found in thickets in the wild, chiefly in wet areas such as swamps, moist woods and open areas. Trees and shrubs are frequently multitrunked.